Urvashe Sameer focuses her practice on personal injury, premises liability and motor vehicle accidents. Urvashe graduated from Fordham University School of Law in 2014, where she was a staff editor of the Fordham Intellectual Property Media and Entertainment Law Journal. She was competitively selected to be part of the Federal Litigation Clinic at Fordham, where she and her team wrote and submitted a brief to the United States Court of Appeals for the Second Circuit, and prepared another case from intake until trial. 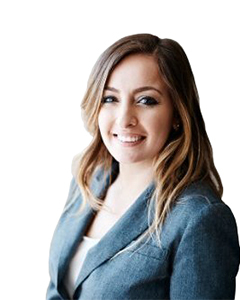 Urvashe has practiced criminal defense and general civil litigation, and handled medical malpractice, landlord/tenant, matrimonial, employment discrimination, and breach of contract cases. New Jersey 2014 New York 2015 U.S.D.C. E.D.N.Y. U.S.D.C. S.D.N.Y.